BRYAN EATON/Staff photo. 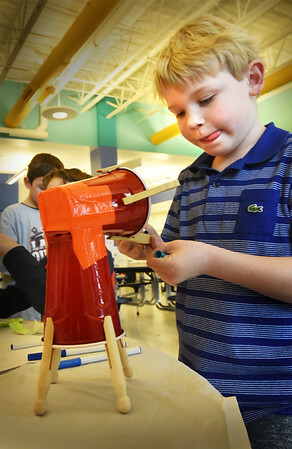 Brody Kelly, 7, and some of his friends decided to create robots using Solo cups, duct tape and clothes pins on Tuesday afternoon. They were in the Newburypot YWCA's School's Out Program which meets in the cafeteria at the Bresnahan School.